(Natural News) The realization is suddenly obvious: The Google / YouTube selective “censorship rampage” that has targeted conservative websites and content creators is a brazen, illegal scheme to interfere with U.S. elections and steal the 2018 mid-terms. Once that is accomplished, the effort to utterly dismantle both the First and Second Amendments of the United States Constitution / Bill of Rights will be placed on urgent priority. Before long, conservative speech will be criminalized, and following a carefully staged mass shooting of hundreds of schoolchildren — because of course when children are murdered, no one is allowed to debate the facts of what happened — all Americans will be ordered to surrender their firearms to the government. It’s all “for the children,” you see, and anyone who opposes the idea will be smeared as an evil person who hates children. Once that is accomplished, the “final solution” of the radical Left’s communist sweep across America can finally be initiated. Conservatives will be named “terrorists” and subjected to arrest, imprisonment or mass killings by deranged, lunatic Leftists who are ordered to purge the countryside in exactly the same way students at UC Berkeley called for the murder of conservative speakers. The Left, after all, openly argues that violence against political opponents is a perfectly acceptable way to silence them. Make no mistake: The goal of the technology tyrants is the silencing of non-left-wing views and a blatant, criminal attempt to defraud the United States of America by interfering with the 2018 mid-term elections. Not coincidentally, this is exactly the crime that 13 Russians were recently charged with by Robert Mueller. The real interference, however, isn’t from the Russians: It’s from Google, YouTube, Facebook and Twitter. Russia’s lame attempts at online chaos and disruption are nothing compared to Google’s deliberate purge of pro-America websites, video channels and voices. 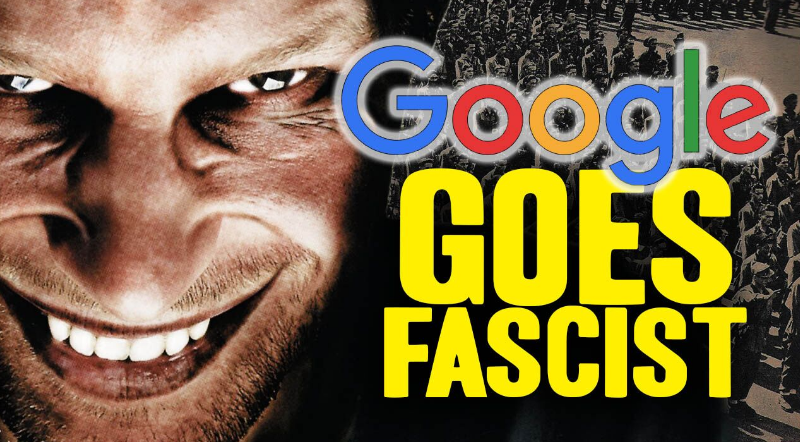 And the only reason Google is doing that is because Google is pure EVIL, and like all radical left-wing extremist groups, Google hates our Republic and wants to see liberty crushed into oblivion.